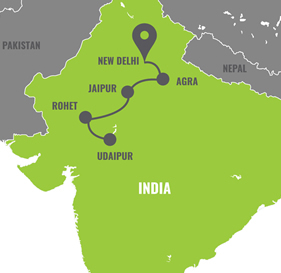 Delhi, Agra, Jaipur, Rohet, Udaipur, and more! India – and especially the province of Rajasthan – is chaotic, colourful, and laden with lavishness. This OUT Adventures luxury gay group tour to India fills a decadent twelve days with a 7th Wonder of the World, the Pink City of Jaipur, Indian cooking class and huge clouds of colour that define the world-famous Holi Festival. Enthralled and exhausted by it all, please stand by for the Royal Maharajah treatment, outstanding meals, memorable accommodations and the ‘eternal tradition’ of Hinduism. Namaste, and welcome to Delhi. Rebuilt seven times over the centuries, today Delhi marries modern hustle with historic highlights. After clearing customs and immigration at DEL Airport, an OUT Adventures rep will transport you to our premiere hotel, where a traditional Indian welcome awaits. We’ll have a kickoff meeting this evening, followed by a decadent welcome dinner. Our day begins in Old Delhi with a visit to Jama Mosque. One of the world’s most beautiful Muslim temples, it was built by Shah Jahan in 1656. After a heritage walk, we’ll then ride rickshaws through the narrow lanes of Chandni Chowk: among Delhi’s oldest and most popular markets, it was designed by Shah Jahan’s daughter in 1648. With our appetites revved up, a traditional Kashmiri lunch awaits, then we’ll we hit up India Gate in New Delhi (this war memorial honours 90,000 Indian soldiers who lost their lives in WWI). After paying our tributes, we’ll venture to the Presidential Palace (Rashtrapati Bhawan) and Humayun’s Tomb (an early example of Mughal architecture and prototype of the Taj Mahal). This evening you may partake in an optional group dinner, or venture out on your own. 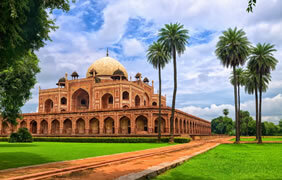 Our day begins with a 3.5-hour drive to Agra, the second capital of the Mughal Empire. After checking-in and grabbing a bite, we’re off to Agra Fort, an imposing structure nearly two miles long. Featuring palaces, audience halls and mosques within, it flaunts both Islamic and Hindu architecture. Today’s final stop today is the world’s ultimate tribute to love. Lacy white and mesmerizing, the Taj Mahal was built by the Shah Jahan for Mumtaz Mahal, his favourite wife. For dinner tonight we’ll feast on Northwest Frontier cuisine in the hotel’s signature restaurant. So magical is the Taj Mahal we’ll return to review it this morning as the sun rises. After breakfast and checking out, we’ll drive to Jaipur stopping along the way for lunch and an incredible photo opportunity at Chand Baori, the largest stepwell in the world. It was originally built in honour of the Goddess of Joy and Happiness. This evening we'll enjoy a group dinner at the hotel followed by free time to explore. 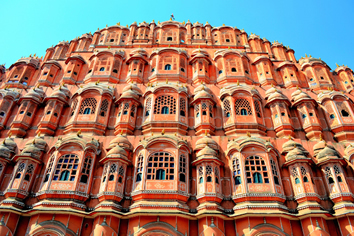 Enjoy a full day in the Pink City of Jaipur (the rosy glow arose thanks to a visit from King Edward VII in 1876 – almost all of the city was freshened up with a coat of paint). We'll take a guided tour this morning, visiting City Palace where we'll even get to enter the royal family's private chambers. Other stops can include the city's Observatory as well as Hawa Maha. The afternoon is yours to enjoy the luxury of our accomodations or explore on your own. Dinner will be at the hotel where we'll be joined by a local LGBT activist. Another day in Jaipur, beginning with a guided tour of the city's main attraction: Amber Fort. Overlooking Maoto Lake, the fort is famed for its decorative Hindu style and immaculate landscaping. You'll have plenty of time to do any last-minute exploring or shopping. We'll reconvene in our luxurious hotel for a group dinner. Today we’re off to the charming village of Rohet, about a 6-hour drive away (rest assured, our impressive resort will make the ride worthwhile). After checking in you'll have some time to nap and freshen up before joining the group for an exclusive meal on either the poolside terrace or lake view terrace. 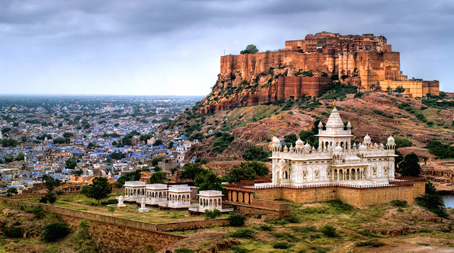 This morning we're off to Jodhpur for the day, the “Sun City” famous for glorious weather. 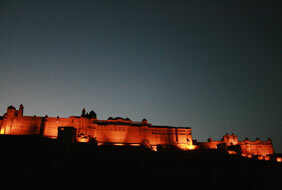 Our visit begins at the majestic Mehrangarh fort, filled with courtyards and palaces. We’ll then visit the Jaswant Thada, a memorial to Maharaja Jaswant Singh II, on the banks of a nearby lake. To wrap up our day we’ll venture into the heart of old Jaipur, where you can check out the clock tower, narrow alleys and an array of wares for sale. We’ll enjoy an exclusive and private dinner tonight in the dunes, with local folklore to accompany the night’s sky. This morning we’ll learn more about the Bishnoi tribes on a village safari, even visiting their homes and partaking in their customs. Dubbed the ‘Premier ecologists of the world’, they have protected nature for more than 500 years, and have ensured the survival of species like the Black Buck antelope. This afternoon, we’ll trade the history lesson in for a cooking session with our hotel chef featuring a ravishing Rajasthani menu. The evening is yours to explore, or you can join the group for an optional dinner. Today we drive to Udaipur, with a visit to Ranakpur Jain Temple en route. This massive monument on the Magai River was built between the late-14th and mid-15th century AD. It has over 1444 marble pillars – carved in exquisite detail – with no two pillars the same. Once in Udaipur, we’ll check in to our hotel (a former palace!) 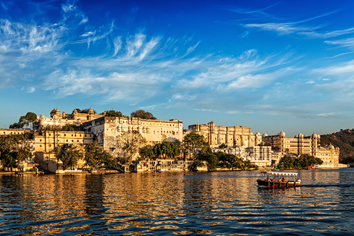 then take in the the fairy tale palaces that rise from the islands of steely blue Lake Pichola. Tonight we bear witness to the Holika Dahan, a bonfire ceremony that represents the triumph of good over evil. Dinner will follow tonight – at the palace, no less. 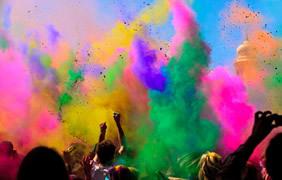 Today is the highlight of our holiday: Holi, the festival of colour! Our celebration begins at the private home of the Bedla Family. Lunch will be served before we let loose-Holi is a free-for-all where participants run around and shower each other with coloured powders and water. After this unicorn of a battle is over, we’ll unwind poolside at the resort, and for tonight’s Farewell Dinner we’ve made special arrangements to dine on the terrace at Shiv Niwas Palace (it will be decorated with flowers and candles so we’re sent off in style). This morning includes a tour of the City Palace, which showcases uniform design despite a slew of additions. We’ll enter through the ornate Hathii Pol, or elephant gate, before we admire paintings, mosaics, intricate carvings and the architecture itself. We’ll also check out a rare collection of crystal brought here from England before our tour officially ends. From here, we wish you safe travels home, with a royal thank you from all of us. OUT Adventures is all about good times with likeminded guys. Whatever's on the itinerary - from fireside camping to five-star decadence - our goal is to make the experience magical. To ensure authenticity we hire local guides, stay in locally-owned accommodations whenever possible, and seek out local cuisine. It's a great way to immerse yourself in the culture while supporting the communities we visit. A visa is required for most nationalities, and can be obtained online. There may be exceptions, and all visas are the responsibility of the traveller. India is unlike any country we know (and we know many). The poverty and pollution can be overwhelming, but so can the beauty and opulence. You can count on friendly locals, but we ask that you in turn respect local customs when visiting sacred sites (we'll prime you in advance). Since most meals will be at hotels and tourist-style restaurants, please rest assured proper hygiene will be practiced. India generally condemns homosexuality. For this reason, it's wise to avoid public displays of affection, for the safety of yourself and fellow travellers. During February/March the days are normally warm to hot and the nights are often mild. Daytime temperatures can be expected to be around 27C/80F, with evening lows around 16C/61F. Humidity is usually low and little or no rain can be expected. Based on entry requirements, no vaccinations are needed for entry unless your home country, or a country you are travelling to before or after this tour, has restrictions in place. To determine if you should take preventative measures to reduce the risk of illness, consult with your doctor or a travel medical clinic. We cannot provide vaccination recommendations. You will need an international travel plug/adapter for type D/G sockets. All of our hotels will have Wi-Fi access, so feel free to tweet, pin, post, and generally be the envy of your friends and family back home. • Up to $50,000 Emergency Medical plus up to $300,000 for ambulance transportation, up to $5,000,000 CAD with valid GHIP coverage. All OUT Adventures are led by gay (or gay-welcoming) guides. Whenever possible, we hire destination locals, and will connect you with people if you'd like to delve deeper into the local culture. If you're pleased with your guide, we recommend a tip of $5-10 USD per person, per day (they'll certainly appreciate it). OUT Adventures are a great way to meet people from all walks of life. Bear in mind that everybody's there for a good time, so mutual respect will go a long way. Please be on time for any meet ups, empathetic to the needs of others, and ready to roll with whatever the adventure brings. Although we can't tell you about fellow travellers for privacy reasons, we can tell you many great friendships began on an OUT Adventure. We're also not gay-exclusive: friends and family are always welcome to join! If you've never travelled on your own, it's an amazing way to learn about yourself while making new friends. We can arrange for you to share a room with someone in your age range (at no charge), or you can pay a supplement for your own room. If there's an odd number of solos, we'll rotate a single room on a random basis to keep things even. 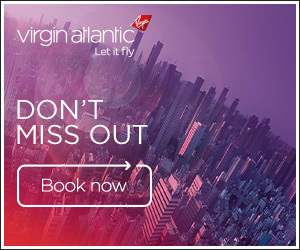 The itinerary is correct at time of publishing. If anything, it will only improve with feedback from travellers and our own research. Please reference your final trip documents, rather than our website, for final details and any changes that may affect your departure. Every OUT Adventure offers optional excursions that are not included in price of this trip. Please see your daily itinerary in your final pre-trip packet to see what's available. To keep things flexible, not all meals are included in the trip price. While we typically dine together so everybody can taste everything, feel free to explore restaurants on your own...your guide will always have solid recommendations. The Lodhi is on the edge of Lutyen's Delhi, and ten minutes from Connaught Place in the heart of the city. Built by Maharana Fateh Singh, the Fateh Prakash Palace is steeped in history, and seems straight from a fairy tale. Local currency is the Indian Rupee, with USD widely accepted. While credit cards are accepted at most upscale restaurants and hotels, we recommend carrying local currency or small USD bills for little purchases. We also recommend carrying about $400 USD, only to be used in an emergency, or if your credit/ATM cards are placed on hold. If you are happy with services throughout your trip, a tip is recommended. Details will be provided in your final trip documentation, though we recommend budgeting about $150 USD. Most OUT Adventures entail carrying your own luggage on occasion. And while you'll never schlep far, things can get heavier than a celebrity breakup if you don't keep your baggage under 20kg/44lb. You should also bring something smaller for day trips to carry water, your camera, and any souvenirs you pick up along the way.